This is done in hopes of preventing any scratches to the panel surface of your garage door for both visually pleasing and practical reasons. One way to protect your garage door is to apply a coat of protective sealer so that weather damage does not occur. 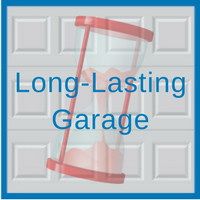 One option is to use a track lubrication product to ensure that the moving parts of your garage door do not rust or tighten in a short period of time. That brings up another benefit of annual maintenance checkups: Tighten any loose hinges that you find and make sure that they are bending evenly and that the track is not warped. Check for cracks or holes in the roof of your garage to prevent any leaks or flooding that may cause damage to the inside. A good trick to keep in mind is to chip away any paint that is falling off the wall, and sand that surface to prepare it for a repainting that will adhere well. Remember, it is important to use a quality paint because it will last longer. While all of these steps are important to take, this one may be most useful. It is key to establish an understanding with the garage experts in your city. This will give you relief, knowing that if an issue does arise, they can help come up with a solution. If you are in need of help with completing repairs that make your garage last longer, contact our garage experts at Blue Sky Builders today. Visit us online at www.blueskybuilders.com, or call us today at 630-852-8485 for more information. 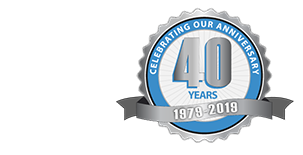 Our garage specialists are here to provide assistance to our clients with their garage maintenance needs.